Although I'm not big into baking, I thought I'd share a few recipes with you ESPECIALLY since holidays (and cravings) aren't just a period of joy (in case of holidays) but also the season of weight gain. And albeit sweets and baked goodies are all around us and as much part of the holiday season as candles, nostalgia, and shopping frenzies, they don't need to lead to snug pants and weight loss New Year's resolutions. The first recipe is called "sweet sausage" - quite fitting given that I'm a German living in Austria. You could, however, also turn this recipe into "balls" or Christmas shaped ornaments. 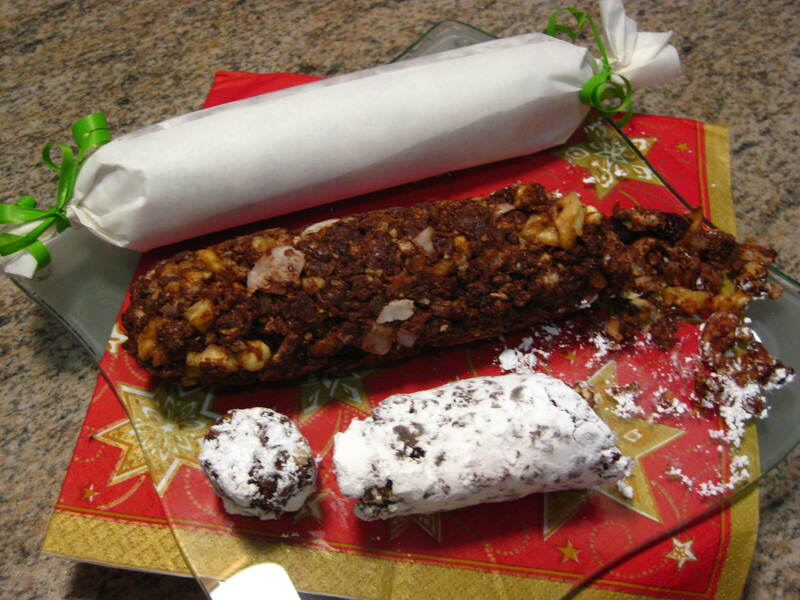 The best part, wrapped, this sweet sausage does indeed look like a sausage, and if you roll it into powdered sugar it resembles salami. Click here for the video as well as details to ingredients and nutrition facts. The second recipe is NOT limited to holidays. 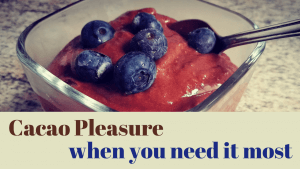 This one can be served as very special desserts or as comfort food. What am I talking about? Pudding. But not any pudding! Nope, we take pudding powder, add milk (NO SUGAR) and one secret ingredient. What do we get? 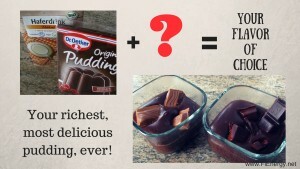 The most delicious, rich, chocolaty pudding you've ever had. Best of all, you can make it to meet YOUR cravings. You want one that tastes like dark chocolate and mint? No problem. One that tastes a bit after chili or oranges? No problem. AND, it's healthier as it contains less sugar and calories- BUT tastes richer and is more satisfying. On the topic of chocolate, given that so many of us constantly experience chocolate cravings I have another recipe for you. But this one is even healthier than the pudding recipe above. Two ingredients. Rich cacao flavor, loaded in fiber, minerals, and photochemicals. Perhaps, the healthiest, vegan chocolate ice cream with the most natural ingredients you'll ever eat.